The brain is extremely complex, indeed so complex, that many scientists believe that it can never be fully understood. The idea that you don’t use all of your brain is a widespread myth. Brain scan studies show all areas are active. So products that claim to tap into the “rest of your brain” don’t really do anything. There’s a reason you have to wait until age 25 to rent a car. Teens and young adults think with their amygdala, the part of the brain ruled by emotion. Adults use the rational part of their brain, called the prefrontal cortex. It’s the area that makes you think about the long-term effects of certain actions. The way you think isn’t decided by which side of the brain you use. Both sides work together on every mental task. So it’s a myth that logical thinkers use the left sides of their brains, and emotional and creative types rely on their right. Brain: What Color Is It Really? 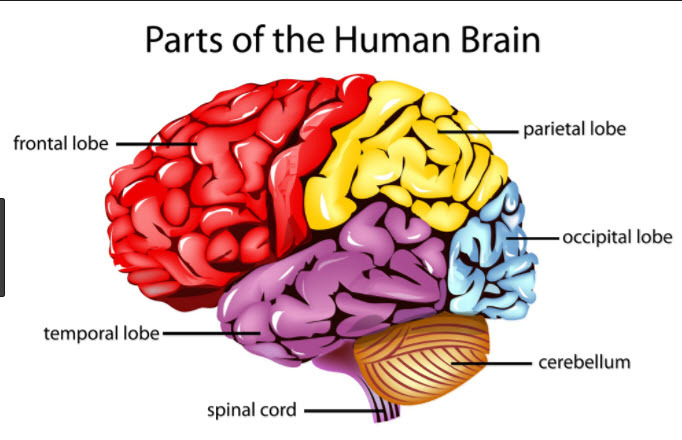 A human brain is often pictured as a dull gray mass. But while it does have gray matter, it also has white matter, and its blood vessels are red. An area in the middle is black. So, why are brains in museums always gray? The chemicals that preserve them, like formaldehyde, are to blame. Brain: Does It Like Classical Music? Scientists once thought listening to Mozart bumped up students’ IQ. Based on these results, classical music CDs and DVDs for babies became popular. But recent studies show that those don’t have any real effect on intelligence. Brain: When You Sleep, Does It Sleep? While your body rests during slumber, your brain stays active. It runs many of your body’s functions, like breathing, and it sorts through the day’s information. It locks things you learn into memory. This process is called consolidation. It also clears out certain kinds of waste from cells that otherwise may lead to dementia over time. Brain: How Many New Brain Cells Do You Get Every Day? It was once thought that you were born with all your brain cells. But the truth is, there’s turnover. You do lose cells over time, but you also grow them. Certain habits, like exercising, can boost the number of cells you make. But many of these die within a week if they’re not used. That’s why learning new skills can keep it healthy. Brain: How Do You Learn? Some people like to have new info explained through words. Others would rather see it in pictures. But research shows there’s no solid proof that people learn better when they’re taught in a certain style. The bottom line: You may want to read those instructions, but you’ll pick up the skill just as well if you listen to them. Every time you learn something, your brain cells grow fibers. They make connections called synapses. Messages are sent from one cell to the other. These connections are fragile. They can disappear. But the more you practice a skill or discuss a topic, the thicker the connections become. That helps you remember what you’ve learned. Brain: Best Age To Learn Material? It may seem like babies’ brains are sponges that soak up the most information. But you’re always able to learn new things. Research shows that your brain can grow and change at any age. One study found that one part called the hippocampus is larger in taxi drivers than bus drivers because they have to memorize many city streets instead of a fixed route. Your mental capacity depends on a lot of different things. Genetics is one of them. Your home life, education, resources, and nutrition also play major roles. Not long ago, people thought learning two languages at the same time competed for your brain’s resources. But it turns out that being bilingual can be good: One study found that people who spoke more than one language developed dementia nearly 5 years later than those who didn’t.